Have you been searching for Martial Arts Classes Katy TX in your area for a long time, and you don’t know what else to do about it? Perhaps you’re beginning to feel hopeless, and you’d like to find a dojo that can help you reach your goals. 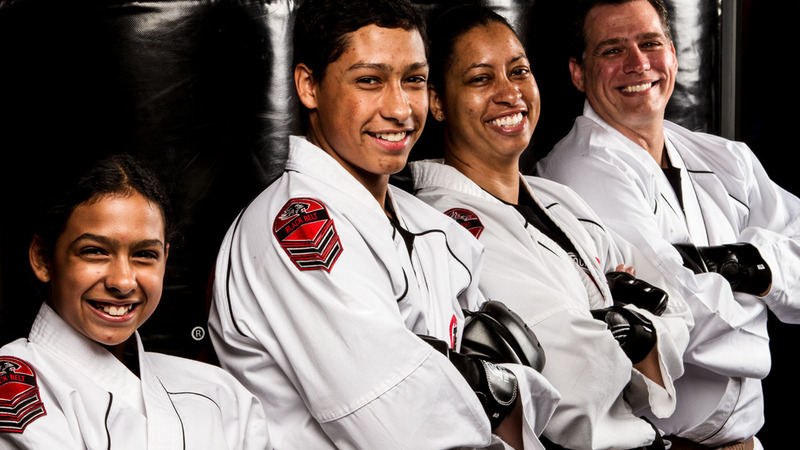 If you’re ready to grow physically and mentally, count on Tiger-Rock Martial Arts to assist you. 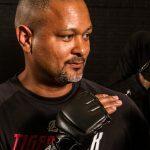 Our team of certified instructors and martial arts experts are ready to provide you with top-notch assistance and guidance. Read more to learn about our classes and programs. Our instructors teach a traditional form of Korean Taekwondo. This is something that will help you grow both physically and mentally. Are you experiencing lapses in focus on a regular basis, and you feel like your mind isn’t where it needs to be? Maybe you’re dealing with a lack of flexibility and you’re not sure what you’re going to do to change this. If so, know that our instructors are here to help you. While some people believe that karate is simply a series of punches and kicks, it is much more than that. It is an art form, and it requires dedication if you expect to master it. It’s absolutely imperative that you find a dojo that can provide you with a healthy atmosphere. While you can expect our instructors to push you to your limits, we also know how to have fun while doing so. We realize this will take a lot of discipline and time, and we’re ready to provide you with the resources you need. Our dojo has built an atmosphere and culture that can assist your growth. It’s not easy becoming a martial artist, but at Tiger-Rock, you’ll have everything you need to reach your goals. Self-defense is another part of our Martial Arts Classes Katy TX offerings. If you’re living a life that involves spending time alone, it’s important to be able to defend yourself. Nobody knows when trouble and chaos might strike, and it’s absolutely imperative that you have the skills and techniques to defend yourself. Are you beginning to feel like you’re at risk of an attack? If this is something you feel insecure about, our instructors can give you hands-on practice. We prepare you for real-life combat scenarios so you can know what to do if an attacker ever approaches you with bad intentions. There are many people who want to make sure they’re getting the best prices for their services. If you’re unable to find something that works for you, Tiger-Rock can help. We provide you with competitive rates and prices that are on par with many of the other dojos in the area. Furthermore, we also offer our students an introductory course package that helps you figure out if this is a good fit for you. After the three courses, you’ll be able to receive an official performance evaluation from a staff member and begin your journey towards mastery. Nearly everybody goes through disciplinary issues. If you’re an adult, you may be having problems staying focused regularly throughout your work shifts or school days. If you’ve got kids, perhaps they’re beginning to have troubles with their friends and teachers. While you might feel hopeless when these types of dilemmas take place, you can count on our instructors to help. Our martial arts programs are geared towards increased discipline, focus, and mental fortitude. Being mentally strong is something that can help you with every single aspect of your life. If you’re beginning to feel weak in the mind, we can help you. There are no shortcuts to our 15-step program, and we want to make sure you get the most out of each and every step. The process might be long, but it is most definitely worth it. You will have a great sense of accomplishment after completing one of our courses. Make sure you ask us about our introductory courses so you can get a performance evaluation before embarking on an extensive, rigorous program. Tiger-Rock Martial Arts has been around since 1983, and we have no plans on going anywhere anytime soon. With years of experience, we have over a hundred locations and we are currently the biggest martial arts franchise in America. You’ll be able to count on us to provide you with certified instructors who understand how to push you towards your goals and dreams. If you’re trying to find a dojo that can help you transform your mind, body, and soul, contact us. Our representatives can provide you with the solutions you need and help you start your transformation. Visit Tiger-Rock For Details On Our Classes! When you need Martial Arts Classes Katy TX and you don’t know where to go, it can be very strenuous and time consuming looking for a solution. 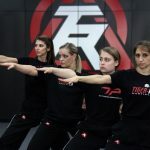 To make sure you get the most out of your karate classes, call our experts here at Tiger-Rock Martial Arts. Our team of certified instructors is ready to prepare you for a course that can help you reach your goals. Call us today and ask about our introductory course package. This is a great way for you to get acclimated to our dojo and figure out whether or not it’s a good fit for you and your family. Katy was first introduced into the city as a municipality back in 1945. This is a somewhat small state that is found in the Woodlands-Houston-Sugar Land area. While it is sometimes overlooked, its economic impact and vitality to the Lone Star State continue to grow. We understand how important it is to make sure we have a modern city for our residents and visitors. Are you someone who wants to appreciate the newest buildings in Texas? If so, we think Cinco Ranch is a great place to hang out. This is a critically acclaimed neighborhood near Katy that is universally respected. Visit if you’re on the hunt for affordable luxury.